The photographic work of my friend Ibrahim Sajid is part of a new exhibition (until June 21) at Arenas, the former bullring at Gran Via de les Corts Catalanes, 373- on Plaça d'Espanya, Barcelona. "Mankind has come a long way, yet even in today’s modern world, our behaviours are stereotypical. Racism, bias and discrimination are the social evils prevalent in all societies and each and every one of us plays a role in either contributing to or breaking down racial prejudice and intolerant attitudes. Our opinions are created and nurtured by superficial beliefs, making us form biases against ethnicities, cultures, religions, gender, nationalities, races and color without even trying to see beyond. 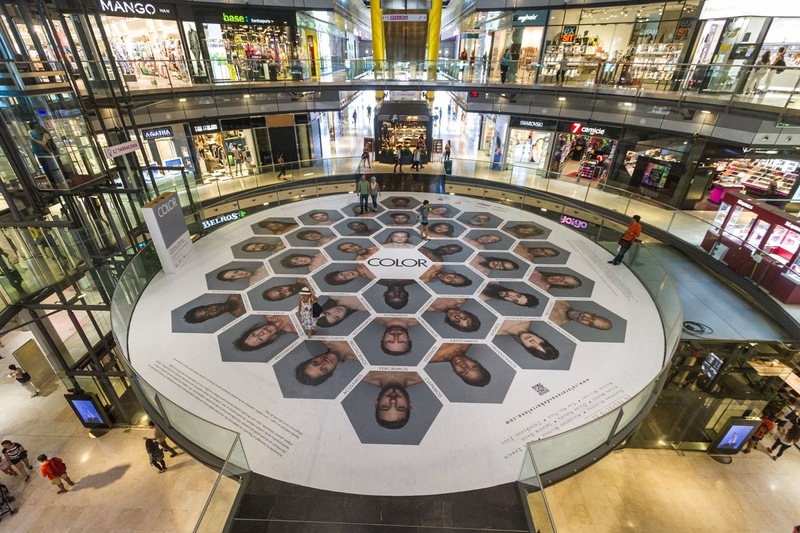 This installation urges us, as a society, to question the first impressions we form at a glance, regardless of his or her appearance, forcing us to look beyond the colour."